And yet, after only a minute of talking, I felt the ticking time. I saw the hands moving as class slowly trailed away and so I kept interrupting them. Guiding them to the next thing that we had to do. Telling them to finish up So that we had the entire foundation laid. So that I could place a check mark in my planner and move on to the next thing, knowing that we had done everything we were supposed to and gotten to the end of the text. Yet, this is exactly what we should not be doing in our classrooms. Too often, we rush. Too often, we hurry so that we can cover things. Too often we get through a lesson rather than realize that what we are doing in that moment is the lesson; is the point of school. We say we want students who speak up and exhibit deep thinking, yet then limit this very thing as we teach. We must slow down. We must stop our incessant teacher talk, our incessant interruptions as we guide and mold and let students think, then let them speak. And when they are done speaking let them sit in the silence for just a moment so they can be sure they are completely done speaking. Teaching is not about getting through. Teaching is not about getting things done. Teaching is not about completing every single lesson we had planned so we can say that we did it, we followed the path and now we have taught. Now our students have learned. It is about the path we take to get there. The exploration we have along the way. The time we give to our students to speak so that we may listen. So in that 6th hour on Friday, I finally stopped speaking. I finally stopped interrupting them and just let them speak. Those who ran out of words looked at me expectantly waiting for me to start again, but then saw how others were still going in their conversations and that spurred them on to keep speaking. I bounced from group to group, not interjecting, but listening instead. Nodding and smiling as I saw them start to become what I hope they will be; kids that have an opinion, kids that have a voice. After a few more minutes, a child asked a question so good that I knew we could discuss this as a class. And so we did. And I didn’t interrupt. I didn’t shape the conversation. I let them speak and they loved it. Because it was about them and not me. Their learning and not just my teaching. Just the way it is supposed to be. 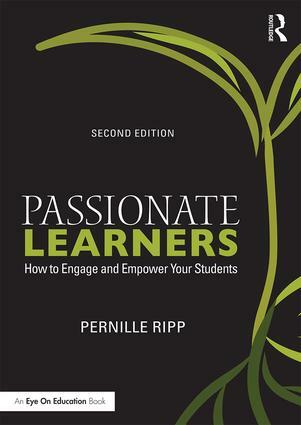 If you like what you read here, consider reading my book Passionate Learners – How to Engage and Empower Your Students. The 2nd edition and actual book-book (not just e-book!) just came out! We see it in our schools as well; the escalation of punishment and force when a child, according to us, gets angrier. When a child loses control and reacts in a negative way, we take away the rest of their control to show them that we mean business. They lose all power over their day and then we wonder why they get angrier rather than just give in. When a child comes to us angry, we assume more will follow and we prepare plans for what to do when that anger comes, not plans for how to keep it at bay. We live in a society that punishes rather than investigates. I have had the angry children in my classroom. I have had the kids with the file, with the police records. With the outbursts that scared me. I have had the child who threw a table across the room when another child called him a name. I have had the child where parents didn’t want their child in the same room, afraid of what would happen. I get it; fear is a powerful emotion, and when it comes to being fearful for our own safety or that of others, it becomes critical that we react. Yet it is within our reaction that we must pause. If a child is angry or violent, we must ask why? We must dig for answers until something is uncovered. Yes, start the plans, but start the investigation at the same time. Relationship and trust has to be our first line of defense, not excessive force. Not assuming that the worst will happen, thus waiting for it to happen, and then not being surprised when it does. If we look at an angry child and expect anger, we will find it. If we look at a child that may become out of control, they will. Our mindset is what has to change, even if it means pausing before reacting. We have to stop our line of escalating punishments if they are not solving the problem. So with all of my angry students, I had the showdowns. I didn’t always call for the principal, and perhaps I should have, but instead I stood my ground and asked questions; why are you doing this? Why is this your reaction? How can I help? I even cracked a joke or two. And it wasn’t a miracle, these children did not change overnight, they still got angry, they still threw chairs, but at least sometimes I knew why and I could work on that. Yes, there were consequences, but they were ones that made sense; speaking to the counselor or the psychologist, working through it with me, parents getting involved, teams put in place. Not suspension, not detention, not always. For the past 5 years I have tried to give power back to my students. I have asked them what they need in our classrooms to learn. 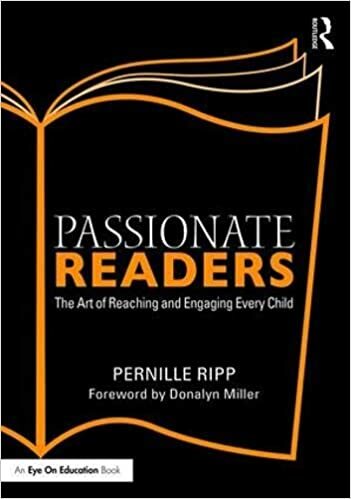 I have listened and tried to provide a classroom that they felt in control over, where there was room for them, where they didn’t have to escalate to get what they needed. I have moved away from my own instant judgment and punishment as much as possible. It has been hard. My gut reaction has often been to punish, yet I knew that long-term it would not help the child but only grow the problem. I am not alone, other educators have been doing this for years, so how do we do it as a nation? How do we move away from more and more force being used, from creating more angry children who end up becoming angry adults? What can we change? And what can we change right now? PS: I don’t know what prompted the officer to shoot Tony, I don’t know if there was anger. The post is simply the train of thoughts that were prompted based on what my community is going through. “This one mommy!! !” Thea runs up to me with the frilliest, ruffliest princess dress I have ever seen. “Mommy, this one is beautiful…” and from then on, no matter how many other cool costumes I point out her heart is set; she will go as Rapunzel in her wedding dress no less for this year’s Halloween. Part of me wants to say no, part of me wants to stomp my feet, shake my head, roll my eyes. Could Thea play more into our gender roles? 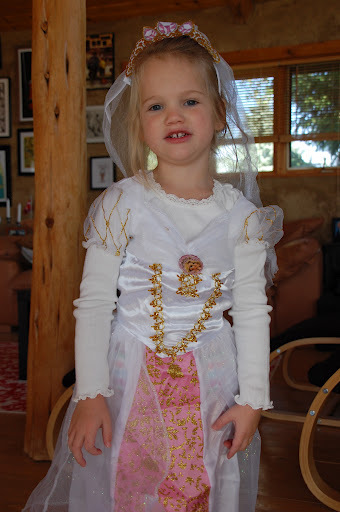 Of course, she wants a princess dress this year. Of course, she will not even glance at Spiderman or even a witch. She wants to be the belle of the ball. Yet, I thought we had it beat. This is the kid that was Buzz Lightyear last year, the kid that loves to run, climb, and be rough. Granted she does it in full pink outfits, preferably with sparkles, but she isn’t afraid. So why am I bothered so much? Someone told me they would never introduce princesses to their daughter, that they didn’t hold that value in esteem. We never introduced Thea to princesses either, we never told her to act like a girl, to twirl in big dresses or crave sparkly shoes. She did that herself. She found things that she thinks are beautiful and so is drawn to them. I don’t wear pink, I don’t wear sparkles, I am not really a girly girl, and yet she epitomizes the American girly girl. All by herself. My husband hates all of the pink and does his best in trying to get her to wear other colors. He is worried what the pink may signify to her; the princess mentality it seems to symbolize. I, on the other hand, am not worried. Not that much anyway. I don’t think the dresses mean she thinks she is a princess who will not work for herself. The sparkly shoes does not mean she will be lazy or expect others to do all of the work, she just thinks they are beautiful. I realize it is who she is, much like the students that show up in our classrooms already embracing their roles in school. And no matter how we try to point them in different directions, most of the time they are perfectly happy being the person they are. Most of the time they can’t help it. And we have to embrace that. We cannot turn a quiet kid into a loud one. We cannot turn an extrovert into an introvert. We cannot expect to either, but we can show other tenets of personality. We can help them develop their character and see the strength in their personality. We can give them a space in which they can fully embrace who they are, rather than face more judgment. As adults we tend to want to change things to make things easier, to have things work out the way we envision it, but we cannot do that with kids. We can try to guide them but we cannot push them into the mold we envision fit them best. So although we think we know best, sometimes we just have to step back, hold our breath and watch them develop. Even if that means pink, sparkles, and princess dresses every day. An interesting debate has been sparked in the comments section of my post “Not Grading is Awful” on the Cooperative Catalyst, with some people stating that forced school is inhumane. I have been pondering this for a bit and I must say I disagree; having an educational system that is mandatory is not inhumane, not having one would be. And neither is forcing courses on students, it all comes down how those courses are taught, which incidentally is something we do have a bit of control over. Now I know that we are tied to standards and district regulations, the politicians are breathing down our neck to raise test scores and there are, indeed, major flaws within our educational system, and yet…There are many things we can change within the public school setting. I did. But back to the original point that forced courses or mandatory education is cruel and unusual punishment and that students should have a free reign instead over what they study and how. I disagree. I think students should be expected to take certain classes simply because education is what rounds us out at human beings. Particularly in the primary grades. I loved climbing trees as a child and could have spent most of my days outside roaming around with my knife, and yes because of school I couldn’t pursue that all day, however, that childhood passion would certainly not have led me down the path of teaching. Instead going through school and having a foundation to do further studies on led me to where I am. Children may have the curiosity to explore, and that should never be stifled, however, we must support that curiosity with basic common knowledge and a well-rounded worldview. So some may argue that there is no point in knowing historical facts that do not directly relate to whatever we end up pursuing as a career. Some may argue that much of math is arbitrary for most people who simply do not end up using it. Some even say that grammar and how to write an essay is superfluous knowledge that does us no good. I disagree. I think all of these lead us to where we end up. I think knowledge as a whole is needed to be a citizen, to be a knowledgeable member of society, to be respected and accepted. So I may not remember all of the days of grammar drilling, or spelling lines, or even math facts, but I see the result of them; me teaching it to my students but trying to make it more interesting. I think we sometimes mistake the whole notion of education for all as flawed, where instead we should be focusing in on the parts that are. Drill and kill, sometimes that is a necessary component. Teacher talking, yep that too. However, how we teach becomes just as important as what we teach. And that is something we all have control over in this endless debate of education policy.